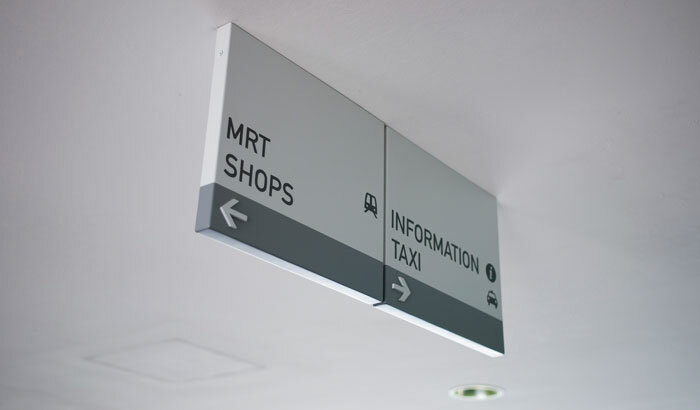 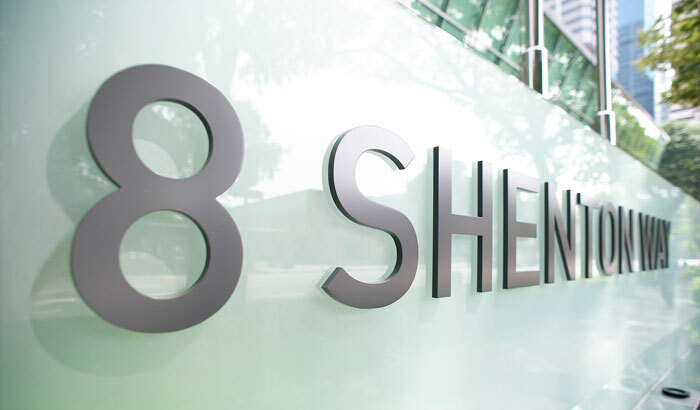 Can a simple signage system be devised for a complex building? 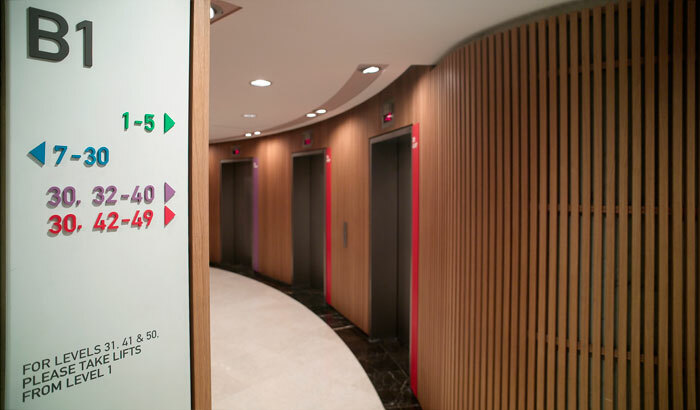 What began as a project to rejuvenate the way-finding system in the existing circular building developed into an opportunity to improve the visually oriented information systems. 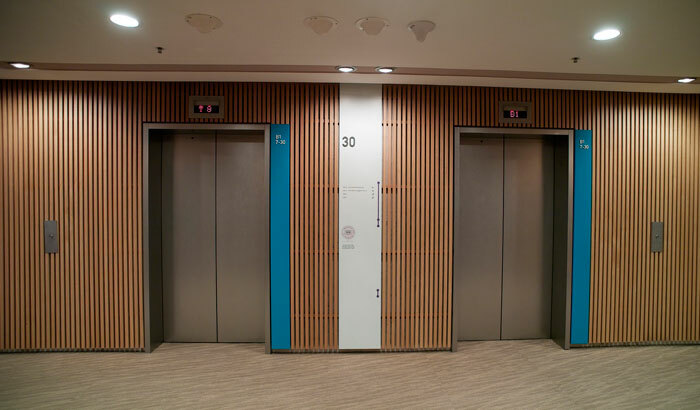 After countless lift rides and morning runs around the building, we had the perfect solution that was also in line with the new building design. 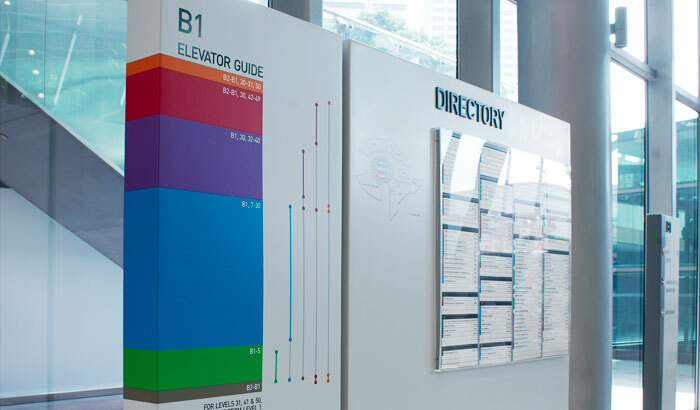 Combining functionality with aesthetics, a fresh colour coding system was created to help visitors navigate their way around easily. 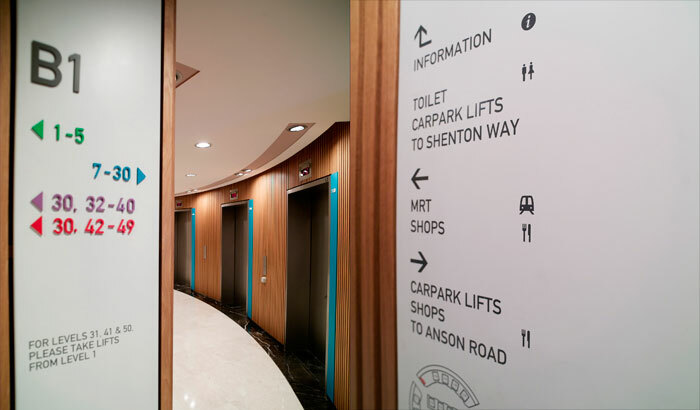 They only had to remember the simplistic colour blocks denoted by the different buildings, get on the respective lifts and hopefully not get lost again!